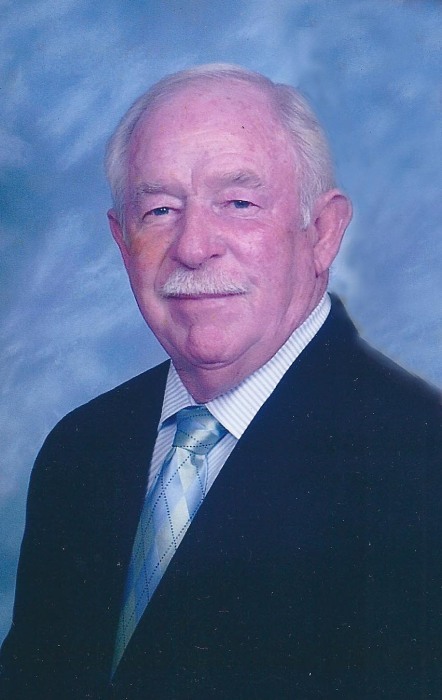 Timmonsville – Bennie Laurie Hanna, 74, passed away on Sunday, April 14, 2019. Funeral services will be Saturday, April 20th at 4:00 p.m. at Lake Swamp Baptist Church. Interment will follow in the church cemetery. The family will have a time of visitation prior to the service beginning at 3:00 p.m.
Mr. Hanna was born in Branchville, SC, the son to the late Zoula A. and Sarah Marie Flowers Hanna. He served his country in the US Navy during the Vietnam War. He retired from ESAB as a machinist following 30 years of service. Mr. Hanna was a member of Lake Swamp Baptist Church and Benton Lodge No. 26. Laurie was a loving and dedicated husband, father, grandfather, brother, uncle, father-in-law and neighbor. He was so much to so many. He was always willing to lend a hand or a caring hug to anyone who needed it. Sitting on his back porch talking with friends and family was something he greatly enjoyed. He was the epitome of integrity and enjoyed being in the Word of God. Surviving are his wife of 21 years, Judy Walters Hanna; his daughter, Lori Hanna (Michael) Tumlin of Forest Acres, SC ; two step-daughters, Sasha (John) Davis of Irmo,SC and Danielle Miller of Timmonsville, SC ; one brother, Carroll Hanna of Florence, SC ; six sisters, Uldine Barnette of MS, Audrey Coker of Conway, SC, Faye Smith of Sumter, SC, Zulane Anderson of Concord, NC, Rose Perkins of Timmonsville, SC and Deborah Robinson of Wilmington, NC; six grandchildren, Michael “Mat” Andrew Tumlin, Madison Hill, Carson Miller, Peyton Miller, Sloan Davis and Wells Davis. He is preceded in death by three brothers, Curtis Eugene, Cecil and Robert Lynn “Pee Wee” Hanna and and one sister, Jeannie Spears. Memorials may be made to the Lake Swamp Baptist Church Building Fund, 6568 Oates Hwy., Timmonsville, SC 29161. Bennie Laurie Hanna, 74, of Timmonsville passed away on Sunday, April 14, 2019. Funeral arrangements will be announced later.